If there was ever a time to get your life together, now would be it. 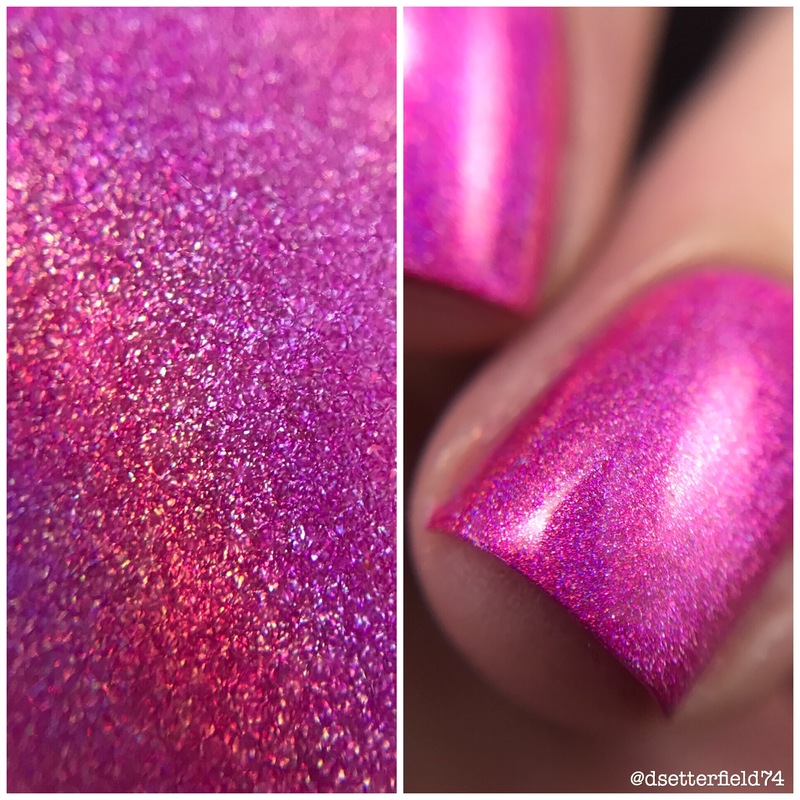 Cuz another POLISH EMERGENCY! is headed our way and we need to get prepared. I mean, imagine a surprise Leonardo sighting is happening and you don’t have your wedding dress in the car. Do you see? DO YOU SEE?!?! 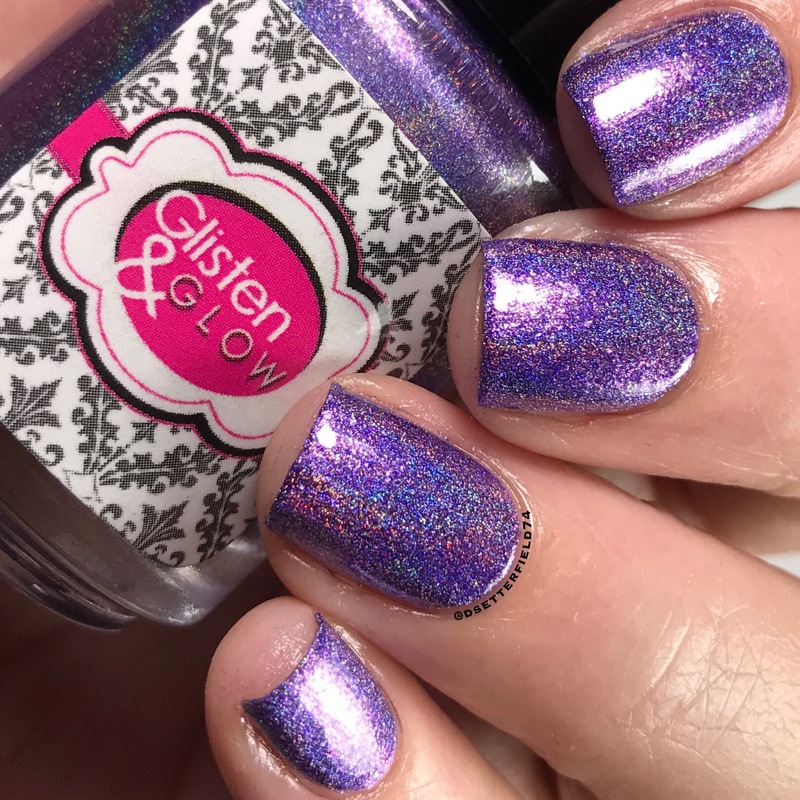 So you miss out on this nail polish, and that’s practically the same thing. But back to the emergency, i.e., point of this dadgum blog. 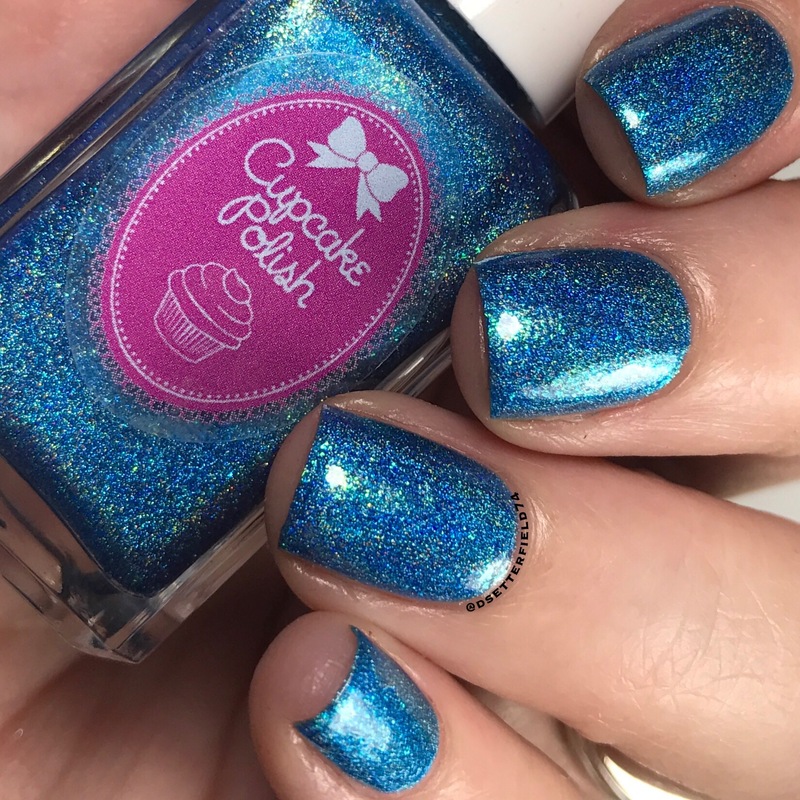 The next Polish Convention event will be taking place in Chicago on September 23, and every week leading up to the big day, new exclusive Road to Polish Con polishes are being released. Week 5 starts tomorrow, guys, and now you need to FOCUS. A legit, no joke BEST DAY EVER just landed in your lap like no big deal. Gah! Excuse me while I toss my ladylike composure out the window real quick. 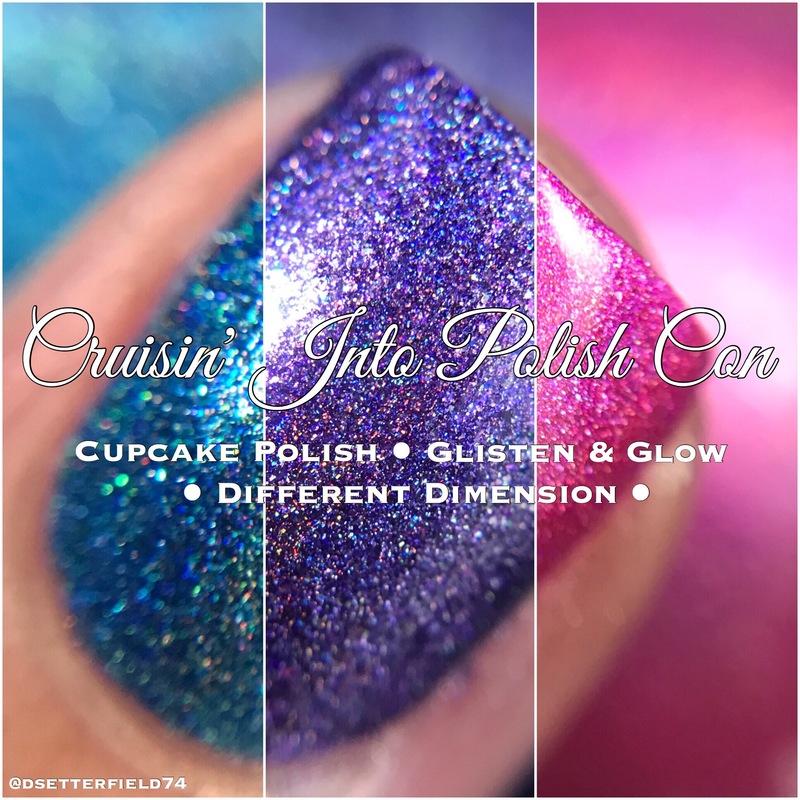 This is the Cruisin’ Into Polish Con trio from three of our most favorite brands: Glisten & Glow, Cupcake Polish, and Different Dimension. It’s like a bonus Holo Hookup box, guys! Who just peed a little? I know, ME TOO! 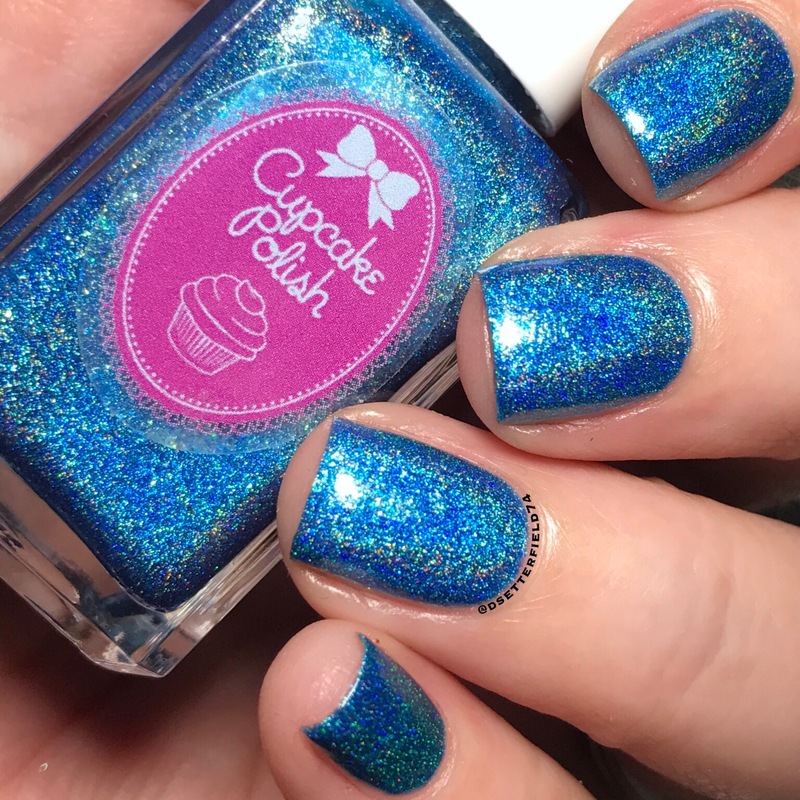 Celebrating the 100th year of Chicago’s Navy Pier, these polishes are inspired by three dinner and sightseeing boats plus fireworks, dancing, music, culture, food, cocktails and beautiful sunsets. 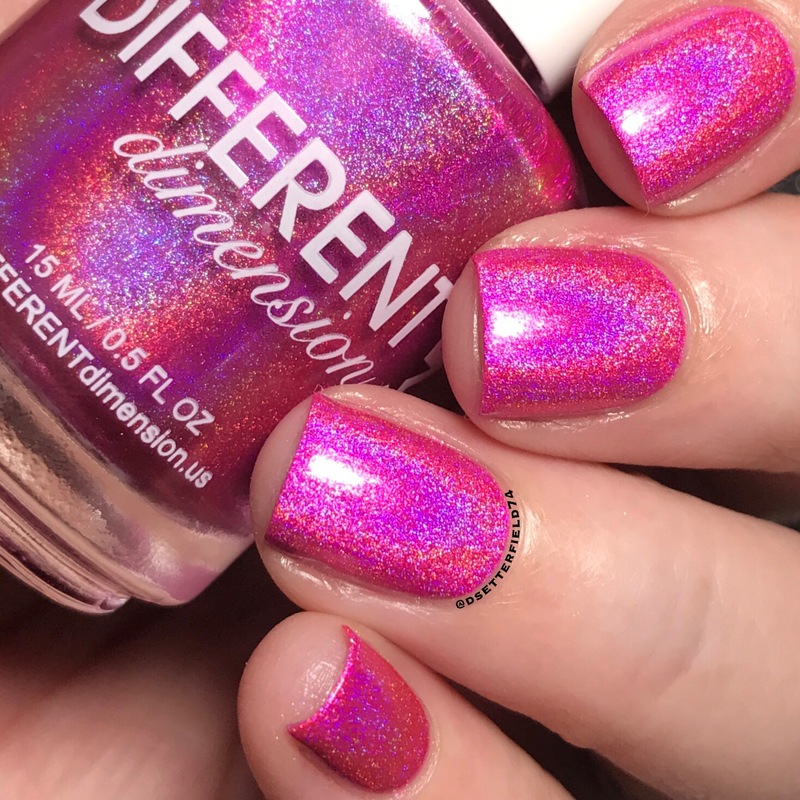 Basically, all your holographic polish dreams come true, So get off your no-buys ladies; this is COMPLETE JUSTIFICATION to the trillionth degree. And all you purple lovers just died a little bit. For real, you did. Although, don’t ask why I felt orange stamping was the way to go with this one. 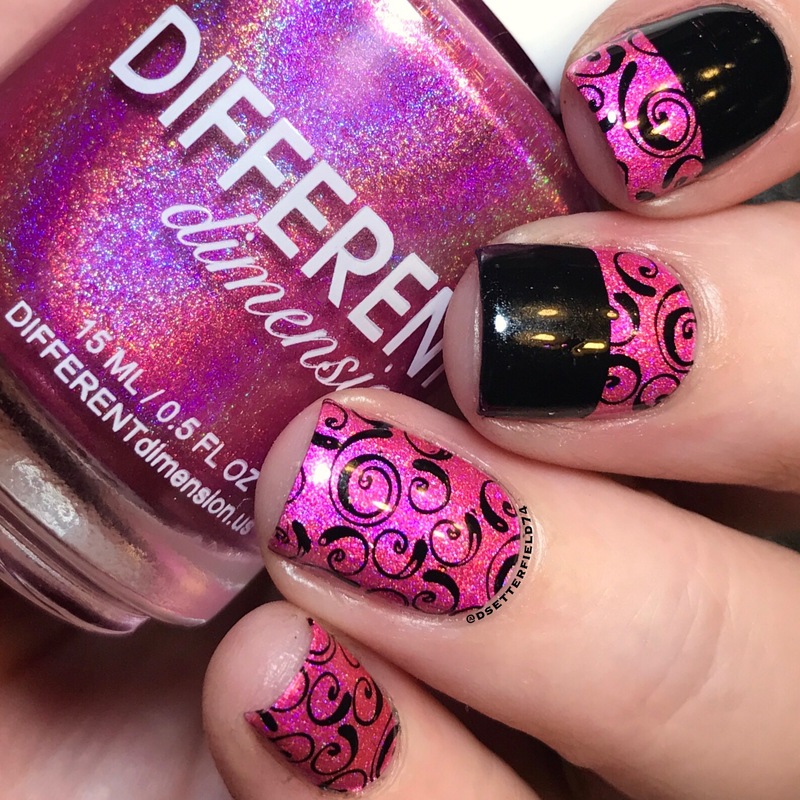 Sometimes when I nail art, my brain just goes away somewhere. However, AN ATTEMPT WAS MADE, and that’s worth half a horn toot at least. Used the Lina Make Your Mark 05 plate if you’re curious. This one looked way better in my head. There was this cool cutout image on the Powder Perfect 1980s 1 plate, and I instantly thought of a color block design. 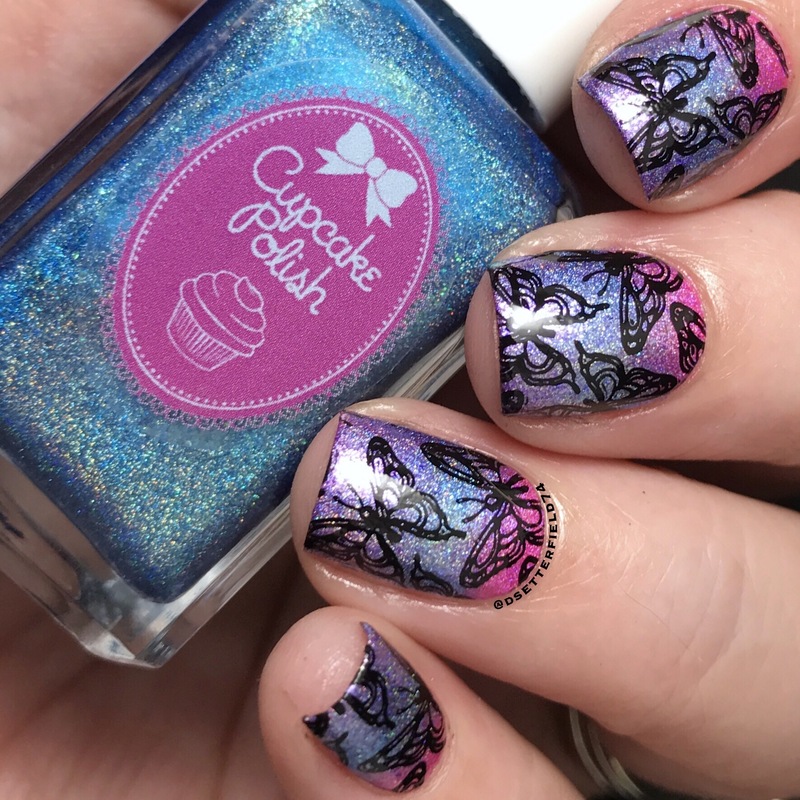 But the curves in my nails made the stamping turn out a bit wonky, and I don’t know about you, but I could use 18,000 tubes of hives cream right about now. Oh, OCD, my evil friend. Seriously, if y’all could just wheel me over one of those old fashioned fainting couches, that’d be great. Do you hear angels? I hear angels. … no award, either. If anyone has some leftover mojo, I could use a billion of it. 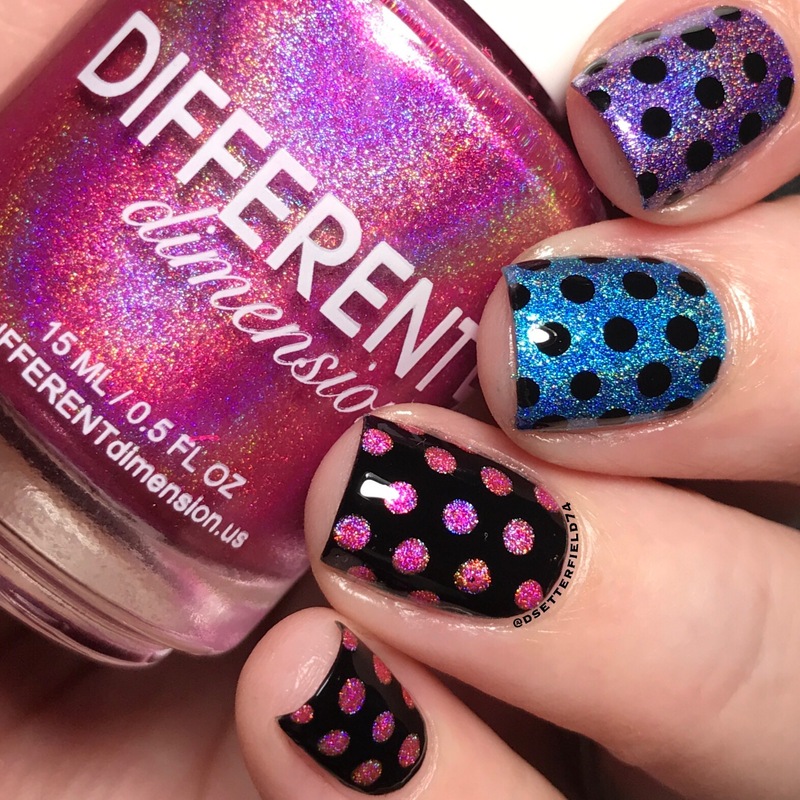 A good old fashioned dotticure! 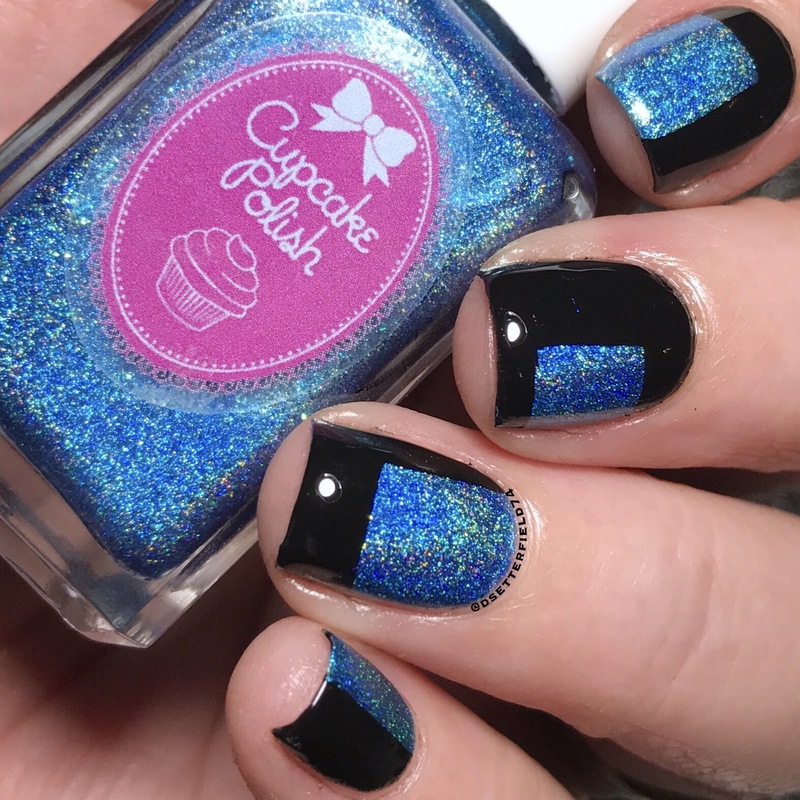 I used all three polishes for this, and I really love how it turned out. I made those dots by hand y’all, cuz a burst of energy just came out of nowhere. Well, not real quick. More like 18 years, but still. Gradients don’t just happen like magic, surprisingly. Although, if this gets me a lifetime supply of bonus points, that sounds about right. Cuz OVERACHIEVE-Y doesn’t even begin to describe this scenario. Used the Lina Make Your Mark 05 plate one last time, and then kudos and accolades are coming next, I’m sure of it. 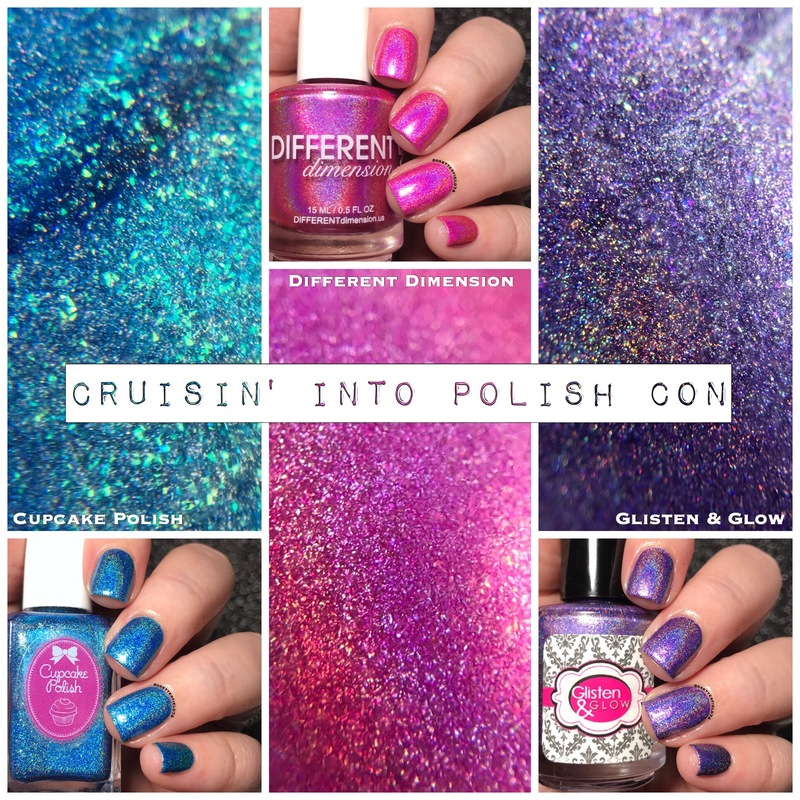 The Cruisin’ Into Polish Con trio will be available starting tomorrow, July 30 at 8am EST and will run until Saturday, August 5 at 8pm EST. In case you don’t math well, that’s seven short days to get your priorities in order. 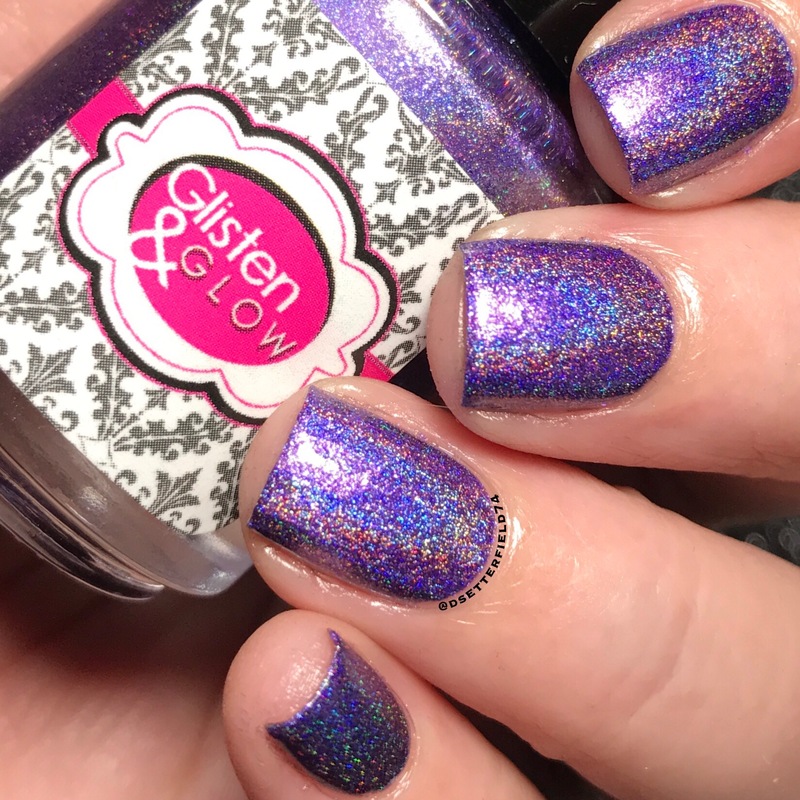 Holo up top, people! Then dishes and groceries, if there’s time. Sold individually, each bottle will retail for $10. 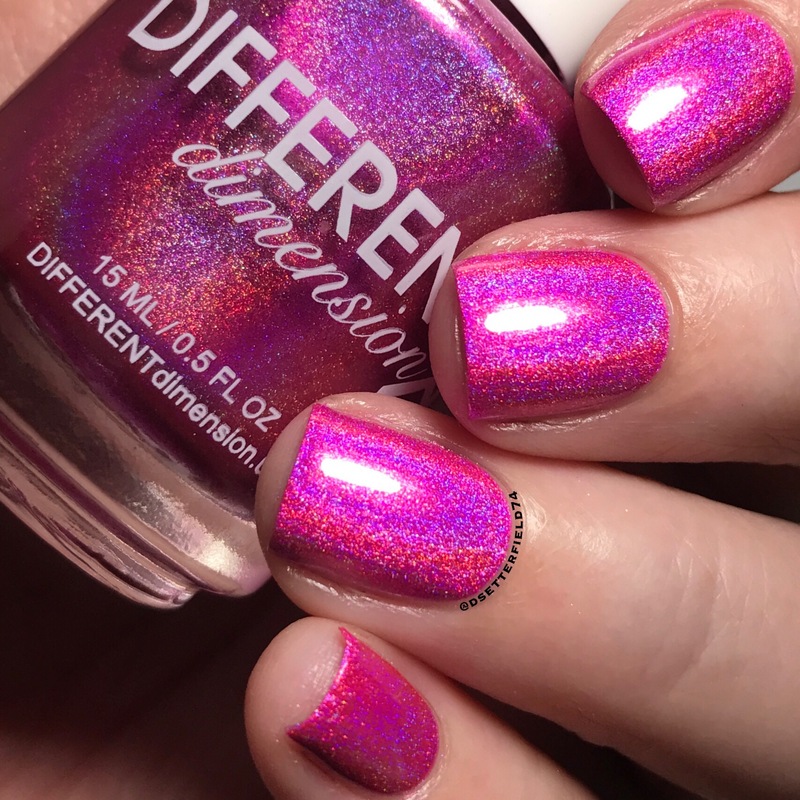 Only available on the Polish Convention website, so click here for shopping! Then keep a lookout every Sunday for new polishes to hoard. Cuz no one does CRAZY NAIL LADY quite like you. Come back tomorrow for more blog. This train keeps moving! 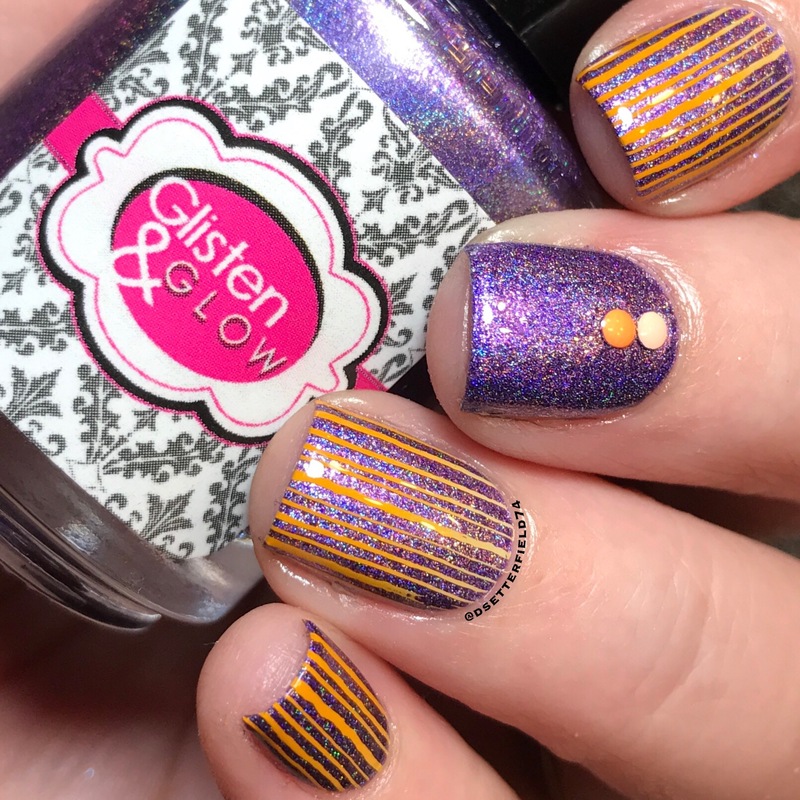 “…don’t ask why I felt orange stamping was the way to go with this one.” Lol I literally just ask why Orange? Totally makes sense though. Lovely photos & delicious colors!